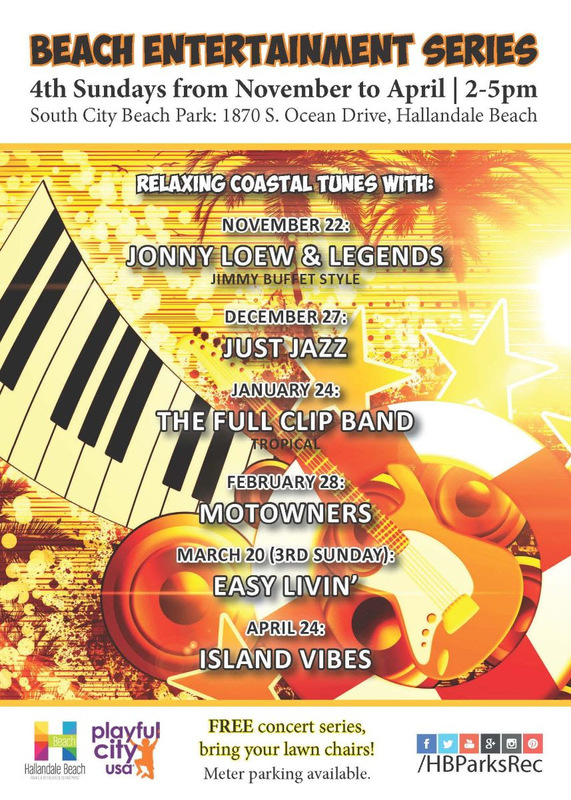 The City of Hallandale Beach is hosting some free music entertainment over the next few months at South City Beach Park. I encourage you and your family to check out one or more of the performances. It should be a great time!